The Adam & Eve stones, all that still stands of the Beckhampton Avenue – Photo: Rob Irving. At 11 on Sunday morning, historian Brian Edwards is waiting outside the Waggon & Horses pub, just along the A4 from Silbury Hill. We’d never met before; he told me he’d come to check me out… to see what I’m about. After a little more conversation it became apparent to me that he’s a veritable librarian of what I didn’t know I didn’t know. Brian tantalizingly suggested that my geophysical survey of the ground between West Kennet long barrow and Swallowhead Spring may have disclosed something other than what I thought it had. We’ve been in communication about what this might be ever since. It’s public engagement of a sort. Further clues to mythologies that are still talked about and enacted in this area can be found in Brian’s excellent paper ‘Silbury Hill: Edward Drax and the excavations of 1776’, Wiltshire Archaeological and Natural History Society Magazine, 103, (2010), pp. 257-269. 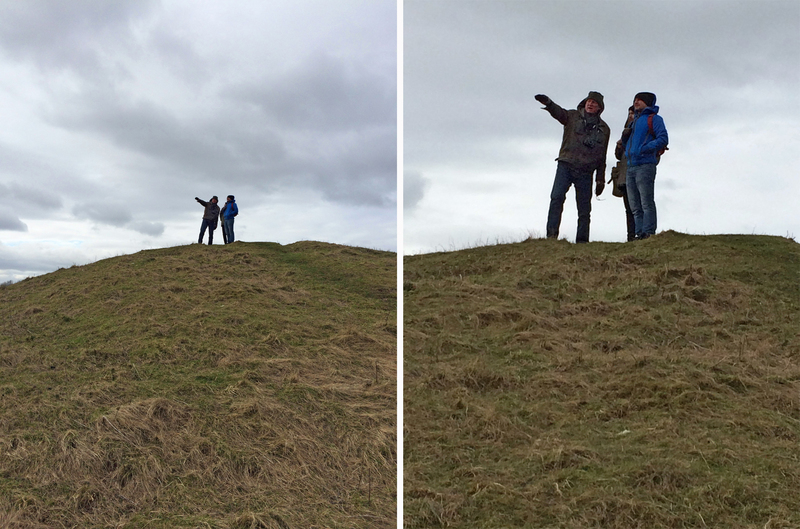 Rob, Rupert and James on Windmill Hill – Photos: Leslie Glenn Damhus. Leslie on Windmill Hill. 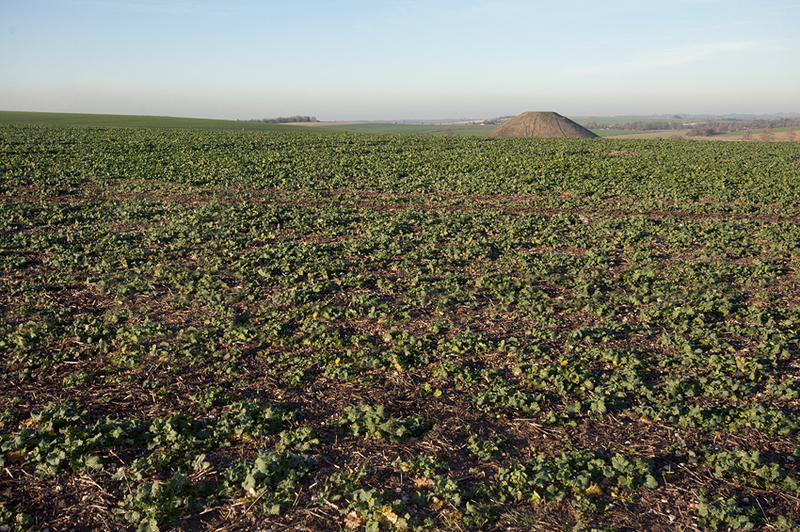 Silbury Hill is visible in the middle distance, 1.8 miles away – Photo: Rob Irving. 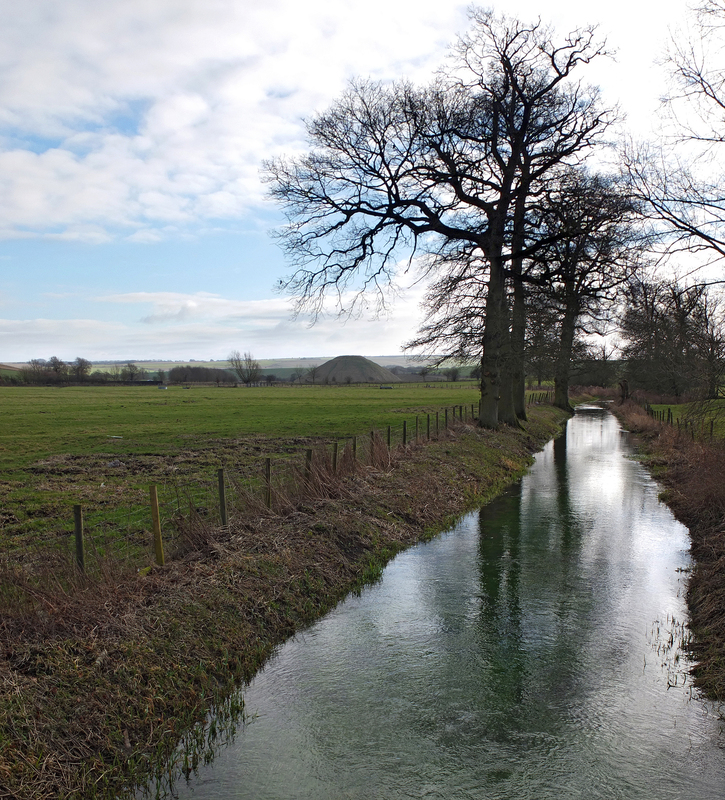 ‘At the point where the Beckhampton Avenue crosses the River Winterbourne, Silbury Hill can be seen with its summit platform exactly in line with the background southern horizon. Paradoxically for the remaining 70-80% of their length both the avenues’ courses are designed to obstruct all view of Silbury Hill.’ From Lionel Sims’ Entering, and Returning from, the Underworld: reconstituting Silbury Hill by combining a quantiﬁed landscape phenomenology with archaeoastronomy, Journal of the Royal Anthropological Institute (N.S.) 15, 386-408 (2009) – Photo: Rob Irving. Waden Hill – Photo: Rob Irving. 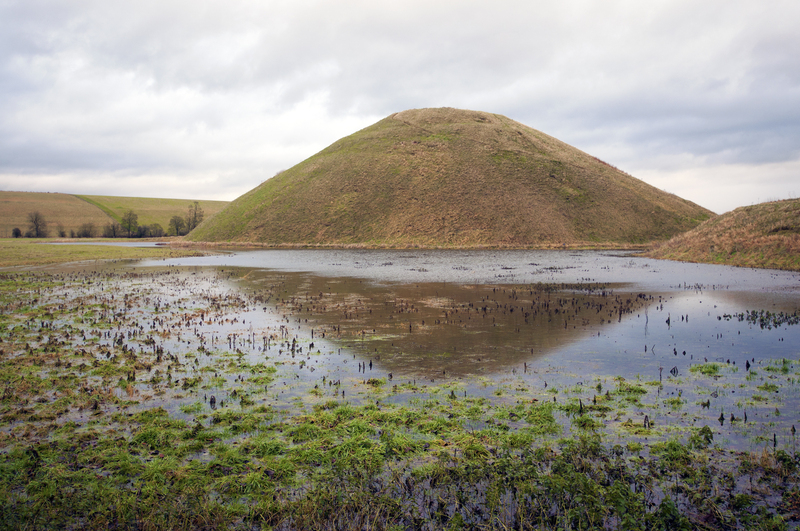 Silbury Hill (2012) – Photo: Rob Irving. left to right: Chris, Maria and Rob at West Kennet long barrow – Photo: Leslie Glenn Damhus. 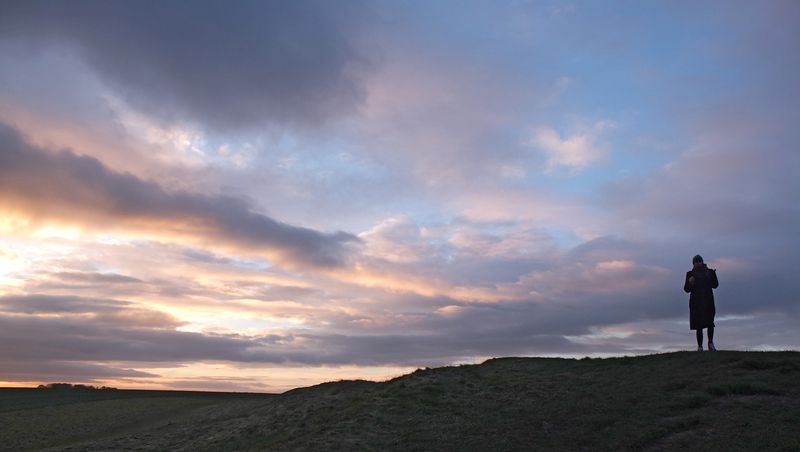 Sunset over West Kennet long barrow – Photo: Rob Irving. Ignited this January through PA2015, my venture of being led by myth in the utilisation of visual archaeology (beginning with a geophysical survey) is in its infancy, with more plans afoot. Early responses are promising. As previously stated, I like what Jeanette Winterson has to say about art and time (and their interrelations), and her observation that there’s a tendency in the West to avoid tricky encounters with art by trivialising it, or by familiarising it, is relevant to the mythoarchaeology enterprise (which seeks out tricky encounters). So, in and amongst the chatter about Situationism and sociological experiments I was interested to find one or two of the folks at The Modern Antiquarian forum adding to the legend narrative by trying to fit my A Geophysical Survey of ‘Earth Energies’ in Avebury’s Ritual Landscape using a Magnetic Susceptibility Coil into their own individual playframes – e.g., that the line evident in the data, which follows Hamish Miller’s dowsed ‘Mary’ line, is an ancient pathway caused by people traveling between sacred sites. There’s a pleasing neat circularity to how this explanation relates to older familiar versions of the ‘ley’ myth, its cosy familiarity at least presenting the illusion of rationality. For someone else, this layer of a deeper map which treats myth with some importance was either art or “has something in common with the legend of Silbury – cobblers.” (An allusion to a local tale of a shoemaker tricking the Devil.) In terms of public engagement, this is a promising start – contemporary legend can take time. Silbury Hill as realised by likers of the Mythoarchaeology Facebook page. It looks like there are some really interesting PA2015 projects coming up in the months to follow. Good luck to Jane, Dan and Elizabeth, and all the other contributors to an excellent conception on James’ part. As for me, here’s yet another reminder that I’m walking around the Avebury Complex on Sunday, the 1st, and invite anyone to join me. Don’t expect a guided tour – let’s let the landscape, and the places that constitute it, speak for itself. We set off from the Waggon & Horses pub on the A4 near the Beckhampton roundabout around Noon. This article is supplemental to A Legend Landscape. The site, looking north towards Silbury Hill. After the Total Station battery failed on the first day, we proceeded to set up a 300m datum North to South and used basic triangulation to set out grids covering 300m2 between Swallowhead Spring and West Kennet long barrow. Eastings and Northings were worked out later and plotted on Surfer as a surface diagram. Readings were taken at intervals of three metres. A second site of one hectare was set out in an adjacent field to the east, at a location where identical crop circles appeared in 2011 and 2014. A plan of the geometry of those circles can be seen below. The site, looking south towards West Kennet long barrow. 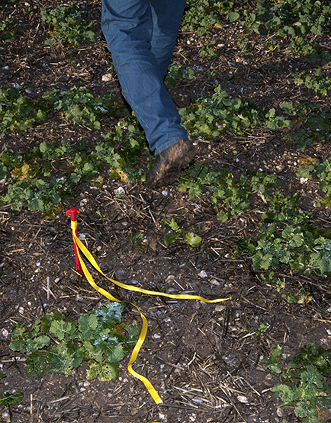 Both sites were surveyed over five days during the first two weeks of January using a Bartington MS2 magnetic susceptibility field coil and meter. A ghostly ‘shade’ “like a river, [forming] curves and eddies” follows the ‘Mary’ line discovered by Hamish Miller, as described in Broadhurst & Miller’s The Sun and the Serpent (1989). The line runs through the site of a Bronze Age bell barrow, since lost to the plough. In the next field, a similar impression of a crop circle that recurred at that spot in 2011 and 2014. 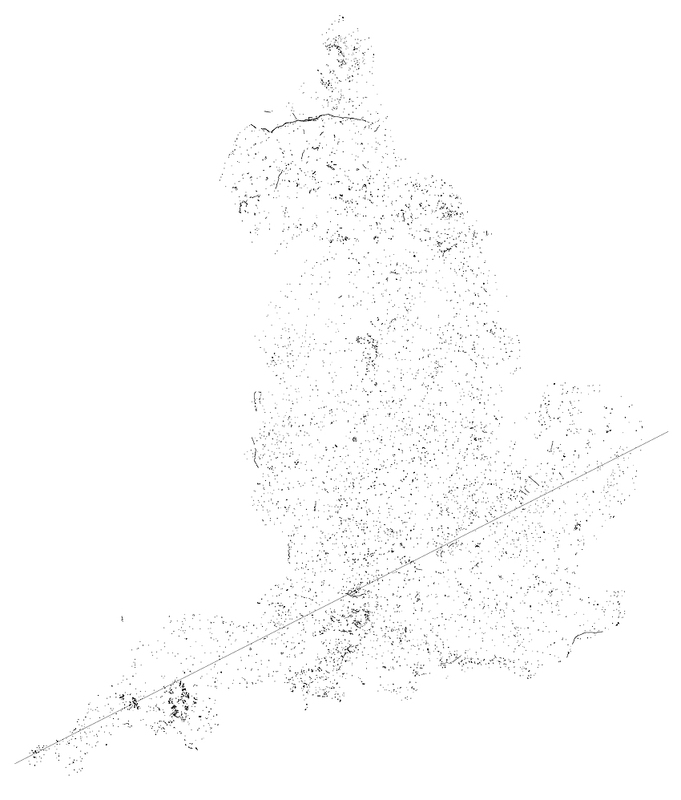 Many thanks to the Environment Agency (Geomantics) for providing the LIDAR map. 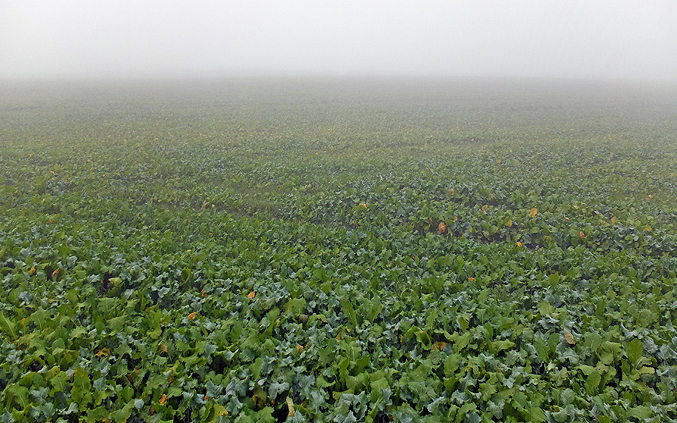 I’m indebted to the farmer David Hues for the use of his fields. Information on previous archaeological finds within the immediate study area was obtained from the English Heritage National Monuments record. 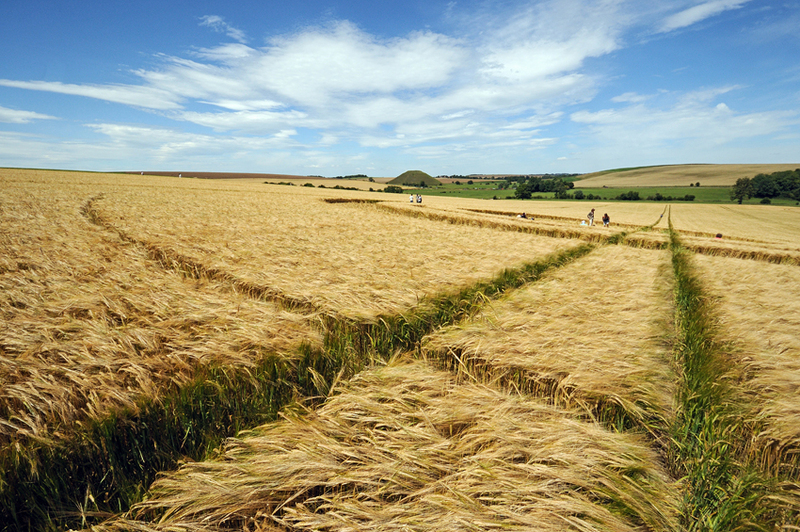 View from the West Kennet crop circle, 2011. 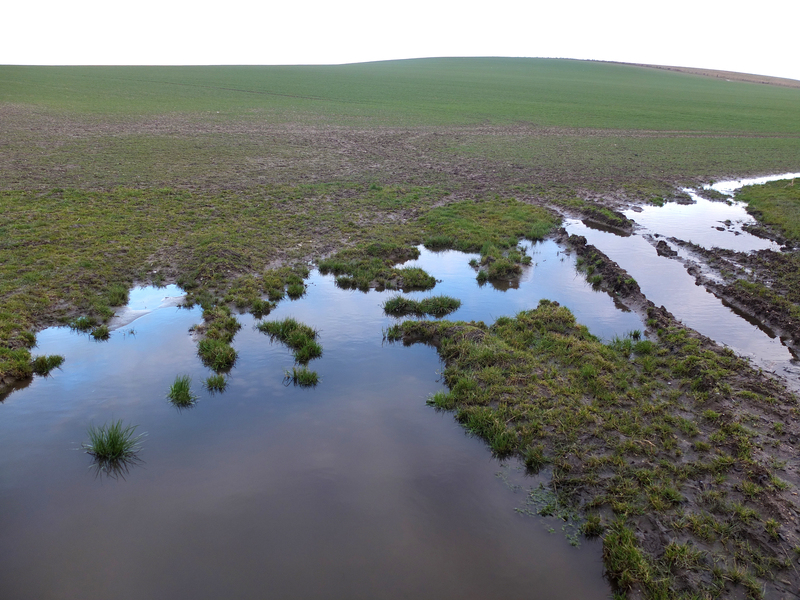 The apparent and underlying geometry of the recurring West Kennet crop circle. The ‘crop circle’ consisted of a flattened disk with concentric bands enclosed within a thin ring. Encoded into the sequential radii of the rings were polygons of 4, 5, 6, 7 and 6 sides consecutively. If this sequence had continued, with 7 going to 8 instead of 6, carrying on to 9, 10, 11 and so on, the gaps between the rings would have narrowed to the infinitesimal, eventually forming an infinite-sided polygon – a circle. 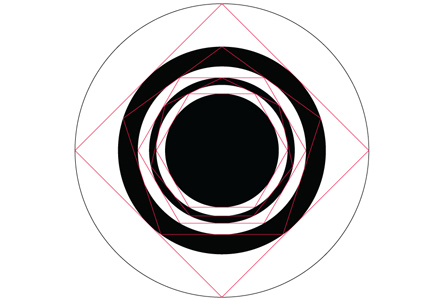 The ratio between the radius of this implied circle and the innermost ring, give or take a tenth of an inch, amounted to the Golden Ratio, or phi, that expression of the divine in art, mathematics and nature. That this geometrical schema is partially visible in the survey suggests a relationship between effects on the surface and the subsurface. 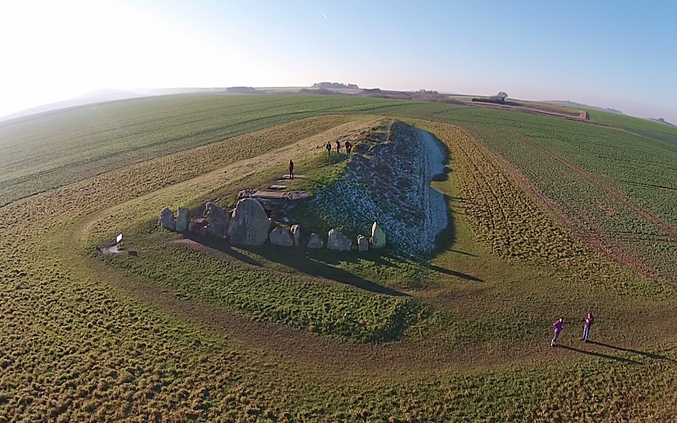 As part of the public engagement aspect of this project I invite anyone who wants to come on a wander around these sites and the wider landscape (Windmill Hill, Avebury, the Sanctuary) to join me at the Waggon & Horses pub, Beckhampton (a mile west of Silbury Hill) on Sunday 1 Feb at 11am, setting off around noon. Plans are also afoot for me to talk about the project, and the concept of mythoarchaeology in particular, at 44AD, a contemporary art space in Bath. I’ll post details when I have them. Every journey conceals another journey within its lines: the path not taken and the forgotten angle. These are journeys I wish to record. Not the ones I made, but the ones I might have made, or perhaps did make in some other place or time. 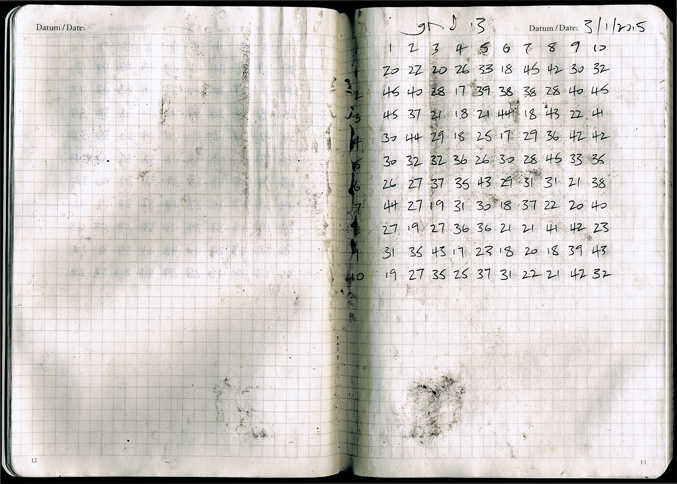 I could tell you the truth as you will find it in diaries and maps and log-books. I could faithfully describe all that I saw and heard and give you a travel book. You could follow it then, tracing those travels with your finger, putting red flags where I went. During my doctoral research I developed a precarious interest in the notion of ‘earth energies’ as a way of conceptualising and mapping landscapes, especially ones that are treated as ‘sacred’ and attract ritual and/or artistic behaviour. Thankfully, I avoided that immediate abyss, but Public Archaeology 2015 has provided me with the impetus to develop this idea through art practice. 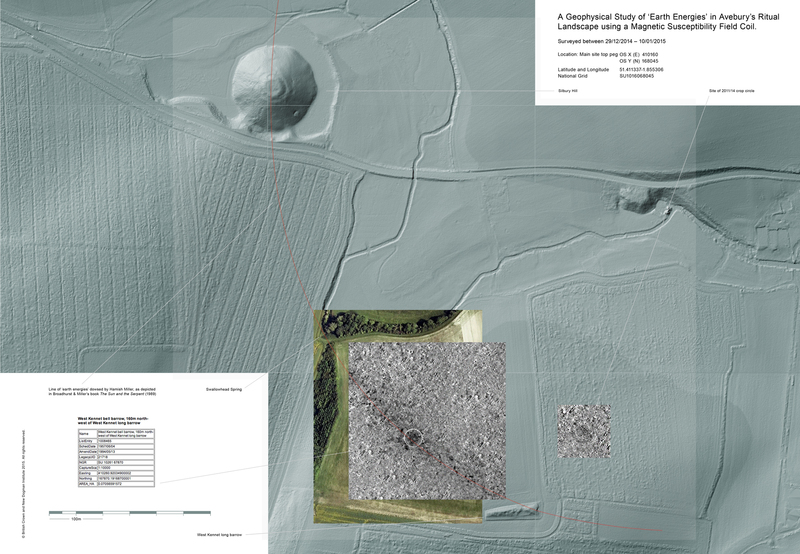 So my project is the archaeology of an idea, where I look closer at one element of a continuous ‘deep map’, if you will, of Avebury’s ritual landscape. After a hesitant gestation during the first half of the 20th century, the myth of English earth energies (subsumed into the myth of ‘ley’ lines, as prehistoric pathways) gained traction during the mid-to-late 1960s and the countercultural beginnings of the New Age movement. I don’t subscribe to the view of some academics that this antistructural ideology sits in opposition to “the mainstream”, because New Age ideas have by now atomised to the extent that many are integrated into wider society. One of these is that of the St. Michael ‘ley’ line, which stretches some 350 miles from Carn Lês Boel in Cornwall, through Glastonbury, Avebury, Bury St Edmunds and other holy sites, to Hopton-on-Sea on the East Anglian coast, in alignment with the path of the Beltane sunrise. As a postmodern movement, the New Age is distinctly pre-modern in its leanings. Its fascination with cultural archaeology via the performance of ritual practice is first and foremost an nostalgic escape from modernity to a time conceived of as a prehistoric (i.e., mysterious) past, a tabula rasa on which to inscribe new histories. Winterson again: “The past is another country, but one that we can visit, and once there we can bring back the things we need”. The Michael line is a quasi-object that acts as a way of reclaiming that past and making it real. As such, it shows the importance of place in these mythospiritual negotiations. Yet, in drawing attention to the imaginary nature of the Michael line, it would be unfair to describe it as non-physical and to allow it on that basis to be thought of as non-existent, because it does have a material, visible dimension. Memories, even false ones, are [observed Edward Casey in Remembering: A Phenomenological Study (1987)] ineluctably place-bound. Just as archaeology is a useful method of ‘re-membering’ something we have not lived as direct experience, ritual processes of remembering are a way of articulating our relationship with the people who lived the past, a kind of ad hoc living archaeology but performed, in the present, as futurological wish-fulfillment. The task of place is to congeal this poetic imaginary into a provisional reality. Casey advises that rather than thinking of memory as a form of re-experiencing the past, it can be conceived of as a kind of re-placement activity, where we re-experience past places. A map of English scheduled sites showing the St Michael ‘ley’ line as visualized by John Michell. The Tor and the Mump have another feature in common, their orientation. The axis of the Mump is directed towards the Tor, where the line is continued by the old pilgrim’s path along the ridge of the Tor to St Michael’s tower. This line drew attention to itself and demanded investigation, so I extended it further east, and the result confirmed its significance. The line went straight to the great stones at the entrance to the megalithic temple at Avebury. In Michell’s hands, the line and an ancient track called the Icknield Way were one and the same. This is a typical ‘New Age counterfactual’ which makes sense only in its own legend context, but gives validity to the myth. Michell was unconcerned with being proved wrong by mainstream historians, only, in line with his antistructural aims, in persuading his readers that conventional history is wrong. He identified the ‘ley’ as a fragment of lost knowledge of a bygone Golden Age, consistent with Newton’s and Stukeley’s, and subsequently Blake’s vision of a British Eden: Old Albion. Inspired by this revelation, in 1988, at around the time Jeanette Winterson was writing the epigraph above, Michell’s friend Paul Broadhurst and a dowser, Hamish Miller, set off on an expedition to map the Michael line. The resulting book, The Sun and the Serpent became an instant cult classic, a sacred text which galvanized this assemblage of quasi-religious ideas under the aegis of Earth Mysteries, a ‘scientific’ tributary of New Age thought. Michell, of course, wrote the Introduction, where careful reading reveals a clever method of circular referencing: Broadhurst & Miller’s expedition and findings are used to validate an idea of which Michell himself was the source. This process of accretion is how myths are made, and survive. It’s also worth noting that Michell came up with the idea on Glastonbury Tor, and that the direction of the line was determined by its geography, and because of that it happened to end up in the places it did. Somehow, by starting at one end, it seems more significant (there’s no such thing as coincidence in New Age thinking) that the Tor is situated upon it. (I was surprised too, until I thought about it.) That is not to diminish its coincidences, however. Or is it more perceptive? This is where Winterson’s journeys concealing other journeys is so relevant, and to the wyrd turn that I can sense my contribution to PA2015 is about to take. Let’s consider Phil Smith’s model of mythogeography in this context, where we, as counter-tourists, and occasionally zombies, subject the sites we visit to our own unique associations, stories and reconstructions – rather than passively consuming official information, we become the agents of our own interpretations. The Situationists defined psychogeography as ‘the study of the precise laws and specific effects of the geographical environment on the emotions and behaviour of individuals.’ Mythogeography opens this up to include the effect of myth and legend on the way we perceive certain environments and how this affects emotions and behaviour. On the strength of this, I would regard Miller as a proto-mythogeographer. Mythogeography is indigenous to the countercultural realm of the wyrd that Michell, Broadhurst and Miller inhabited. As do I, hence my decantation: Mythoarchaeology – likewise, mythoarchaeology deploys ways and means to change or heighten existing perceptions of place, utilizing the myth of archaeology as a science through the use of material evidence, instrumentation and data. In parodying science it actuates performativity and subverts orthodox knowledge. This kind of exploration embraces Glyn Daniels’ refreshing disrespect for the servitude to received wisdom implied in his remark that “the problem in archaeology is when to stop laughing.” [(1961) Editorial, Antiquity 36: 63-4]. From Broadhurst & Miller’s The Sun and the Serpent, showing where the Michael and Mary lines’ converge at Avebury. It was here, on our first day, where Inesa reported feeling an energy hotspot. We had followed this serpentine energy for 150 miles. It had performed many strange contortions on its route across country. Here, for the first time, marked out by rows of standing stones, was a graphic display of how the energy actually operated. It was organic; it flowed without regard for human perceptions of symmetry and order. One minute it could be wide and gentle, the next narrow and sinuous. Like a river, it formed curves and eddies, all of which were accurately laid out in stone. […] The serpent ran right though the circles. There was some confusion. Another current joined it, crossing at the centre. The reactions were checked. There was no doubt. There was another serpent. One that appeared to be a different frequency but just as powerful. It entered through a group of prominent tumuli over the road, ran through the gate and the only remaining original stone, and […] head[ed] off to the south-west. The St Michael serpent entered at the neck of the stone avenue and ran towards the south-east. 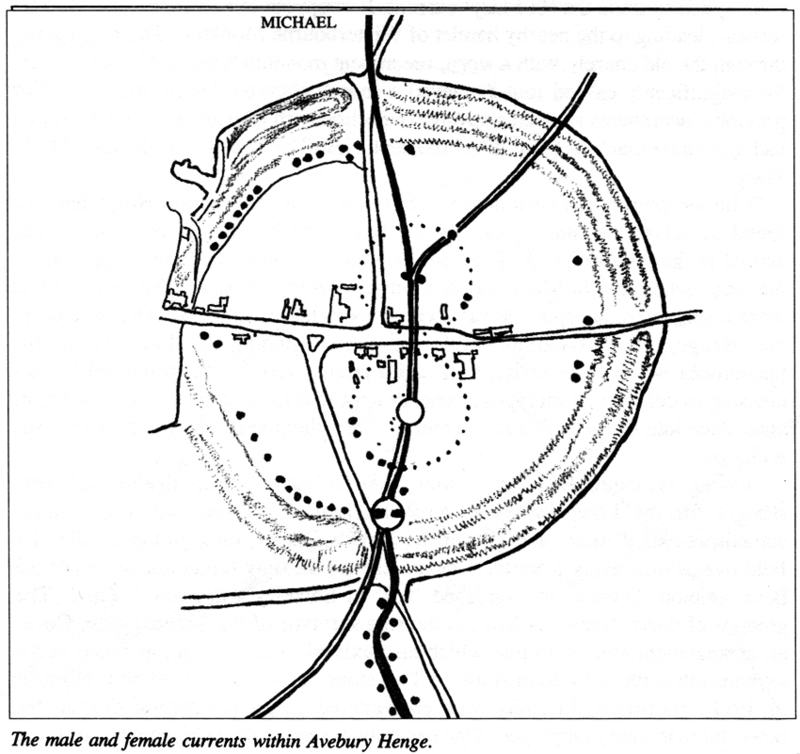 Miller’s diagram of the intertwining serpentine movement of the Michael and Mary lines at Avebury. 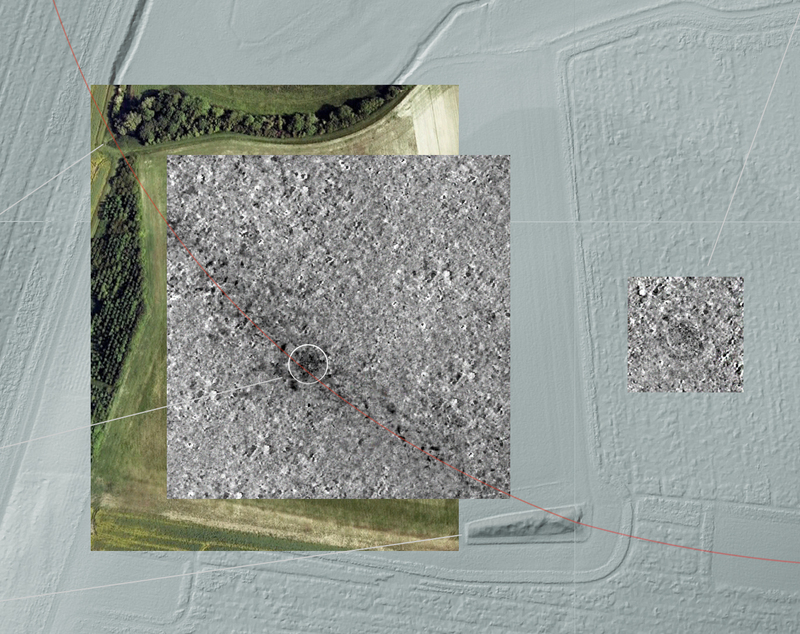 The site of our geophysical survey sits between Swallowhead Spring and West Kennet long barrow. The Catholic Encyclopedia of 1912 pithily observed that once numinous experiences are localised, pilgrimages necessarily follow. This may be doubly true, I suppose, when the place itself is imbued with creaturely life. Today, Avebury’s ritual landscape area is as popular a place of spiritual refuge and enquiry as any other holy site, and the annual arrival of hundreds of thousands of mystical tourists suggests that the place, as setting, represents an interface where human conceptions of occult otherness exist to be revealed. Michell, Miller and crop circle-makers have all played a part in this transformation. As an artist, I don’t see my role as debunker; quite the opposite, I would aim to subvert the kind of order-directed explanationism that modern society tends to manufacture, in favour of a healthy plurality of ideas. Isn’t that what artists are for? 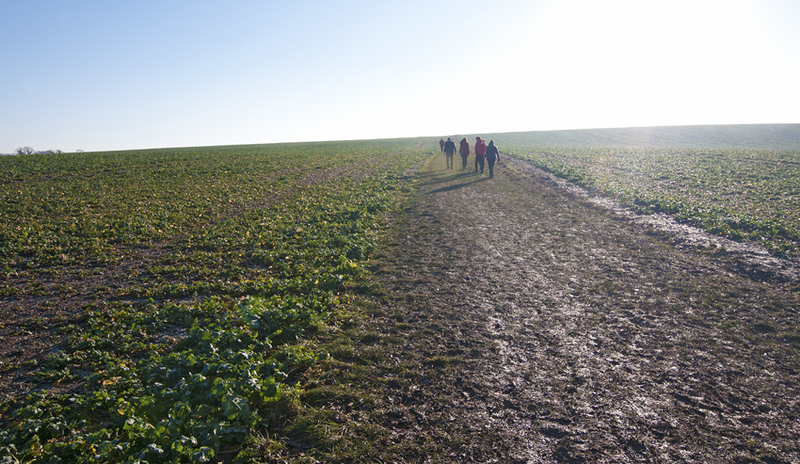 I’m walking and talking this landscape on 1 Feb, a Sunday. 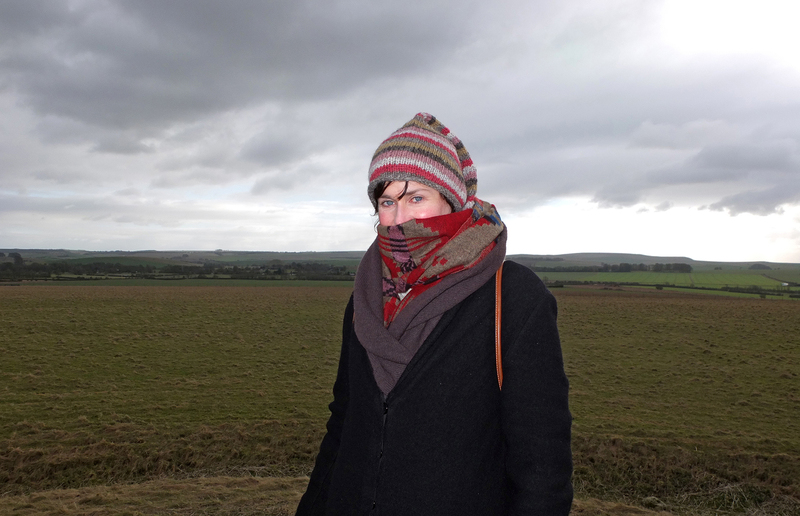 Anyone is welcome to join me – please see A Geophysical Study of ‘Earth Energies’ in Avebury’s Ritual Landscape using a Magnetic Susceptibility Field Coil or Mythoarchaeology on Facebook for details. The idea that these energies are somehow harmful seems to me to be a contributing factor to the problem Geopathic Stress experts claim to be able to diagnose and cure. So, did you see what I did there? I changed ‘pathic’ to ‘poetic’ and ‘stress’ to ‘flow’, a remedial move (or trick) that may be compared to how what is pejoratively dismissed as the ‘placebo effect’ is looked at differently, and becomes a more interesting research subject, when it is viewed in less negative terms as the ‘healing response’. Same thing, big difference. 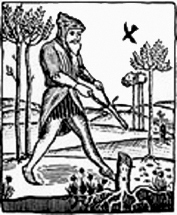 According to one expert, Christopher Stevens – not the Associate Professor of Linguistics at UCLA but the one who writes for the Daily Mail – the etymological root of the ar sound in certain words – e.g., art and archaeology – relates to the penetration of compact soil in preparation for growing crops: to plough. By root, I mean not just Greek (aratron) or Latin (aratrum). Accordingly, the persistence of the ar sound in those languages in relation to arable farming, as well as Aromanian (where ar still means plough), and throughout the spread of Indo-European language suggests Neolithic origins. To briefly expand on this, the original meaning of dhr, which begat Dharma, was to hold firm without moving – conveying the idea that all power and identity is derived from land. So Dhr is related, at least conceptually, to another ar word: farm. Or is this an example of apophenia, where we start with a compelling idea and then set about attributing ‘meaningful’ evidence to it in the form of false positives? 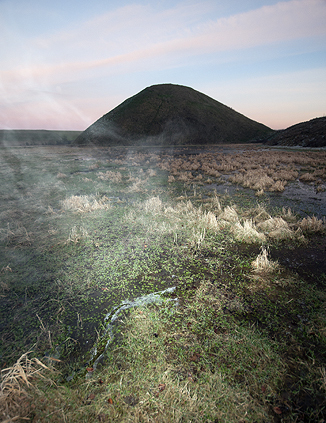 Such as with ‘ley’ hunting, where a line drawn between distant points brings significance to other landscape features, generating intuited ‘revelations’ of meaning, intention and agency. Contemporary folklorists would challenge this tendency to treat ‘myth’ and ‘legend’ as identical, and with (I think) good reason. For the sake of brevity, however, and because the difference between myth and legend is so critical to my project, I shall begin with a simple set of definitions, which I might add to as we go. Myth: An accumulation of stories telling of unobservable objects of belief in terms of observable phenomena (e.g., ghosts, unicorns, ley lines), which are not expressed as truth propositions but are latent, and cannot be told in any way other than by story. Legend: A story (or object) from which is inferred experience of unobservable objects of belief in terms of observable phenomena (e.g., that a ghost, unicorn, or ley line was witnessed at a particular time in a particular place). Ostension: From the Latin verb ostendere, meaning ‘to show’. Linda Dégh and Andrew Vázsonyi introduced this term into the contemporary legend genre as ‘legend telling by action’, where people mimic or re-enact a myth in a form likely to invite inference, persuading others, or even themselves, of its veracity. Its etymological relationship to ‘phenomena‘ (from the Greek verb phanein: ‘to appear; to show’) should also be noted. My cohort Terry Hall and I had hardly begun our work when we were approached by a young woman who had traveled to Avebury from Latvia, via a bus ride from Swindon. 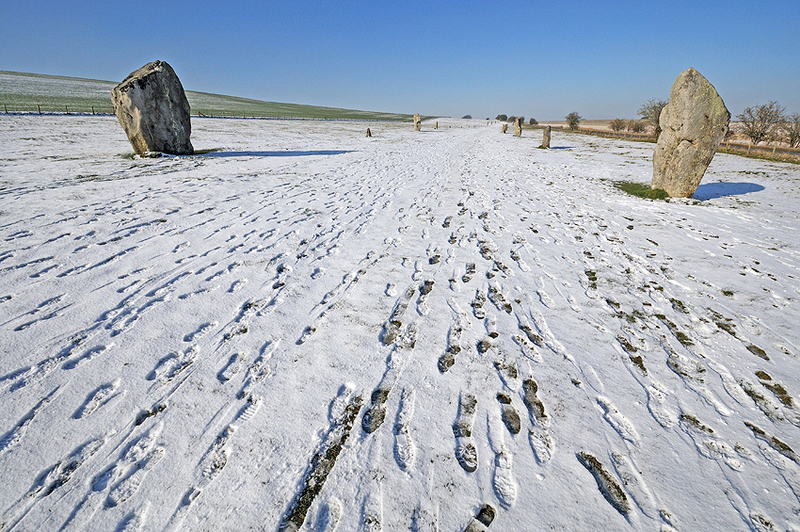 Having walked the mile or so from Avebury, past Silbury Hill, to the West Kennet long barrow, Inesa needed directions to a Neolithic site known as the Sanctuary. And no sooner had I asked after her first impressions of the Avebury complex, where industrial agricultural utility competes with a curious pre-apocalyptic New Age intimacy with the vestigial ruins of a past-most-wished-for, that Inesa was telling us about the energy hotspots she had sensed here and there. The veil shifted and myth became legend. To briefly recap, my project looks at the modern myth of ‘ley’ energy currents that are associated with certain places as spiritual power centres. I am interested in the value of emotion and aesthetic sensibilities in the relationships people develop with things and places, and indeed with our own experiences and memories of place. The questions this raises cannot be answered satisfactorily by simply reducing the problem to its material constituents and containing it within what is already known. To me, as an artist, this just panders to another myth of a particular rhetorical ‘straw man’: Science (note capital S) conceptualised as scientism – namely as a monolithic institution that considers itself superior to all other knowledge systems and refuses to entertain new ideas. But social science and the arts must, of necessity, go further… into the unknown. I thought it would be interesting to combine the evolving ‘leys’ myth with a mixture of standard and non-standard surveying and imaging techniques. Hence, mythoarchaeology. Whether it becomes legend or not depends upon public engagement, so we shall see. Meeting Inesa was a good start. Our first task is to conduct geophysical surveys of targeted areas. In weeks 2 and 3, I’ll collate and convert this data to visual imagery which I will then superimpose onto maps and aerial photographs. Maps in hand, around the end of the month I will invite anyone who is interested to join me on a walk through this alchemical landscape. Mythogeographers, dowsers, sceptics and other legendeers are particularly welcome. West Kennet long barrow, a key element of the Avebury complex of prehistoric monuments. It is strange, yet encouraging, that the first day of my project would be beset by the kind of mythical problems that are so redolent of its subject. Usually these stories concern camera batteries: mine worked fine, but the Total Station and drone batteries, both fully charged at home, mysteriously failed on site. That site is an area on either side of the path leading to West Kennet long barrow. My project utilizes the myth of telluric currents, commonly conceptualised as ‘ley’ lines. A core principle of New Age belief is that these were used by our ancient ancestors to fix the location of magical, and subsequently ‘sacred’ sites. How they knew to do this is lost to history, part of the ‘long-lost Truth’ Isaac Newton wrote about 300 years ago, when his friend and biographer, the Rev. William Stukeley, a doctor-turned-vicar who became Chief Druid, devised a mystical association with Avebury that continued through the works of the visionary poet William Blake and later through John Michell’s writings on UFOs, crop circles, sacred geometry, ‘leys’ and dowsing – the kind of arcane material to be found in Glastonbury bookshops under the heading: Earth Mysteries. 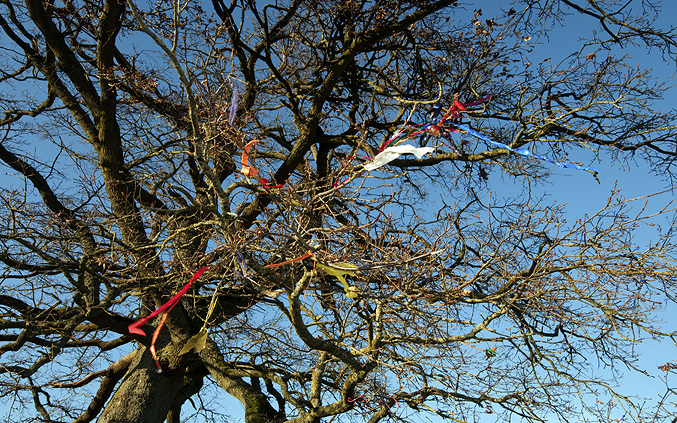 Clouties hung in a nearby oak tree. Of the confusion of such lines that is believed to exist in Britain, the best known are the Michael and Mary lines. 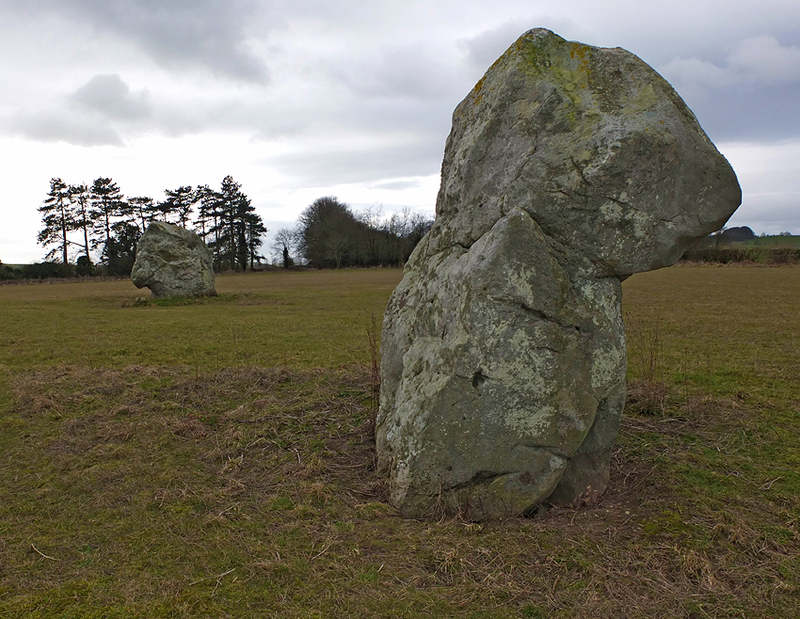 These pass through Glastonbury and Avebury on a bearing of 242°, or 28° north of east, between Hopton, Norfolk, and somewhere in the vicinity of Cornwall. Since it was revealed to John Michell in the late 1970s, the Michael line was thought to be ruler straight, tracing the course of the Beltane sunrise, but, following troubling observations about its (in)accuracy, nowadays it is depicted as intertwined with the Mary line on a serpentine course that flows between subsidiary sites – e.g., in dowser Rory Duff’s map of the Avebury complex both are shown coursing between sites in a non-linear fashion. These “concentrations of magnetic energy”, asserts Duff, measure 36 paces wide, and are also kinetic inasmuch as they are said to be quietly and continually moving… breathing… alive. 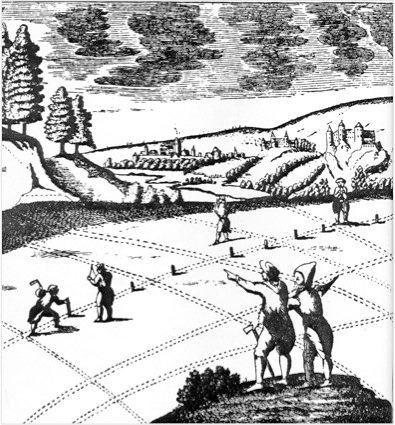 Anyway, in my line of business I’m used to moving targets and in setting up our survey grids we got by with a map and compass, using old-fashioned triangulation. I’ll go back another day with the drone to get aerial photographs and hope that the battery holds out. I’ve published a Facebook page to disseminate news and invite discussion about this project at https://www.facebook.com/mythoarchaeology?ref=hl – please feel free to join in. 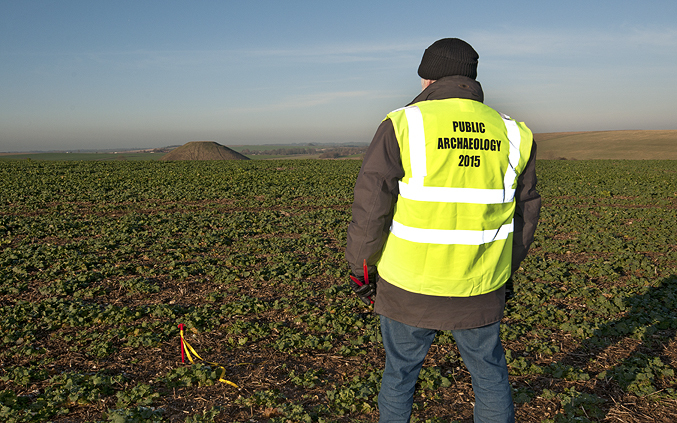 Thermals on; thick socks and gloves; Zippo warming my pocket… I’m about to kick off my project for Public Archaeology 2015. Commencing in January, the project will be divided into phases, the first involving geophysical surveys of targeted areas. In weeks 2 and 3, I’ll collate and convert this data to visual imagery which I will then superimpose onto maps and aerial photographs. Maps in hand, around the end of the month anyone is welcome to join me on a walk through this alchemical landscape. Mythogeographers, dowsers, sceptics, are particularly welcome.